With one click, you can immediately connect to your customers in a non-intrusive manner. Your customers can then respond to your SMSs and confirm appointments, request additional services etc. Save time and effort going through confirmations. Associates often spend a lot of time calling customers to confirm their spa or activity appointment. Quite often this is overlooked and a small percentage of this business do not show up due to forgetfulness. To optimise your business profitability, confirming all your reservations in the most efficient and non-intrusive manner via a two way SMS can eliminate no-shows and of course increase your productivity. Your team members would be able to use the time gained from this into more profitable and value adding tasks. Email confirmation can be as detailed as required and we believe a necessary part of the total customer communications. However, it is well known that customers generally look at emails much less frequently compared to SMS’s which are almost immediately read and responded to. While emails have their place, SMS becomes a vital communications tool to increase your customer convenience and comfort in general. It also saves your associates time, effort and keeps phone lines free for more incoming calls for new appointments. 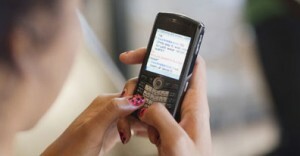 SpaConnect can send text messages to customers requesting appointments confirmation. The customer will receive a SMS message indicating the details of their appointment. In the near future our enhancements will empower the customer to reply to this SMS to confirm or even cancel their appointment. For just a few cents per message you can have all your appointments confirmed within a matter of minutes. Use permission marketing to your maximum advantage. Our Marketing module when used with our SMS Contact Manager module can help drive business to you and increase client loyalty. Use our marketing module to direct your messaging toward customers that meet simple or sophisticated criteria and then have contact manager send short, directed SMS messages to your customers cell phones. Do you have customers that should have come in, but have not made an appointment for a while, or customers that purchase items from you on a routine basis? Do you have customers that come in for the same treatment everytime or customers that try new treatments everytime? Identify them, and reward them, send out a quick SMS reminder to call to book their next appointment; let them know that the items they usually purchase is on sale for the next few days. 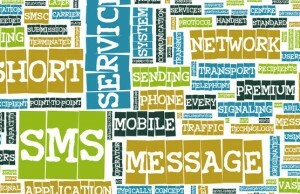 Our SMS Gateway and Marketing is simple, powerful, much faster and most cost effective solution in today’s environment. For a small investment, you can keep your customers coming back and make life so much easier for your customers and associates.